In Ireland, we have a very strong tradition of family businesses of all sizes. They are the backbone of the SME community and without them our employment numbers would be much lower. The Donnelly Group is one such company, having been founded by Tony Donnelly and his son Brian in 1979. Starting off as a wholesaler of fruit and vegetables, the business evolved over the years and diversified with a number of adjacent businesses. The family has shown themselves to be entrepreneurial, opportunistic and a true inspiration to other family businesses. Owned today by Brian’s sons Ciaran and Ronan, they have proven that family businesses can survive through the generations. Damien Butler, the managing director of Donnelly engaged me for a strategy project with his wholesale division. What impressed me most was the maturity shown by the Donnelly brothers to stand back and recognise the value of being surrounded by great people. Having the right people that were trusted and empowered to get on with the job has helped to build and diversify the business through the years. The first big break for the company was when they met the buyer from Superquinn. The Donnelly brand has always been about quality and service. For example, it was one of the first wholesalers to push growers to improve their quality. That mindset sat very well with the Superquinn DNA and a match was made in heaven. It became the sole fruit and veg supplier to that customer until Superquinn was taken over by the Musgrave Group in 2011. The first real diversification was in 2001 when the group developed a new related business – Glan Aris. Because of a strong partnership with its main customer, the levels of openness and honesty were high. Donnelly faced a challenge with logistics and cost regarding the movement of stock with their main retail partner. Donnelly collaborated with Superquinn to build a cleaning facility for crates, which turned into a business where Donnelly managed the total crates inventory for them. That involved collecting, cleaning and returning them to stores. Today that is now a stand-alone business with state-of-the-art facilities in Dublin and Cork, headed up by Brian Doyle. It provides an excellent crate management service to a number of retailers for various product categories. The second big milestone was the creation of Wonderfoods in 2004. As the world of convenience stores and ready-to-eat market was growing, Donnelly moved to capitalise on that with a dedicated and specialised offering. Headed up by Ann Bolger and her team, Wonderfoods prepare washed, ready-to-eat foods. 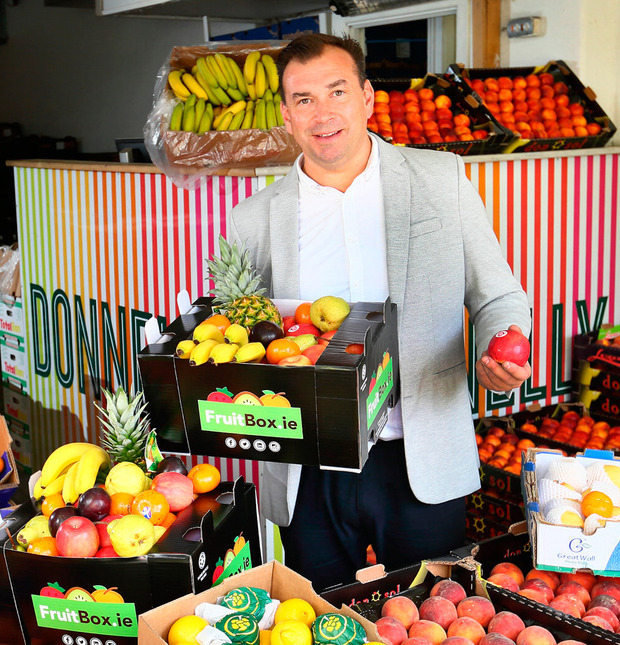 Tapping into the Donnelly emphasis on quality and service, they provide a well-branded range of produce for convenience retailers and food service businesses in Ireland and UK. Strong on innovation, they had success with their caesar salad kits and a convenient roasting tray that goes straight into the oven. Ensuring a consistent supply of coleslaw cabbage led them to their next new business, once again an example of a careful adjacent diversification. There is a lot of volatility in the coleslaw cabbage market in particular. It’s obviously a summer requirement predominantly but was subject to the vagaries of the weather and the marketplace. To mitigate against that, Donnelly decided to grow its own in their own lands. Now headed up by Martin Gaffney, the farm produces its own cabbage throughout the year. It is stored in its own refrigerated facility to ensure consistent supply and no out-of-stocks. Price is also protected and guaranteed. Because the growth model has been a mixture of adjacent diversification and organic growth within each division, Donnelly has earned a reputation as a credible and relevant supplier of fruit and veg. Each business has to survive on its own merits but, of course, the synergies across the group are significant. This is where the board comes in. They now have a group board that oversees the strategic direction and performance for each business. It also ensures that synergies such as opportunities, structure and cost savings are maximised. Meeting once a month, the board is made up of the family, the managing director from each business and two non-executive directors. The Donnelly Group story is an inspirational one that shows the possibilities for growth in family businesses. Motivated by evolving relationships, deep insights into their industry and a level of opportunism and grit, they successfully de-risked and diversified their business. There are two main learnings in this for me. One is about diversification which does of course require a level of risk. The other important message is for family businesses to recognise the value that non-family members can bring to the table. This requires a willingness to embrace change. But with good governance and a structured board, such challenges can be overcome.